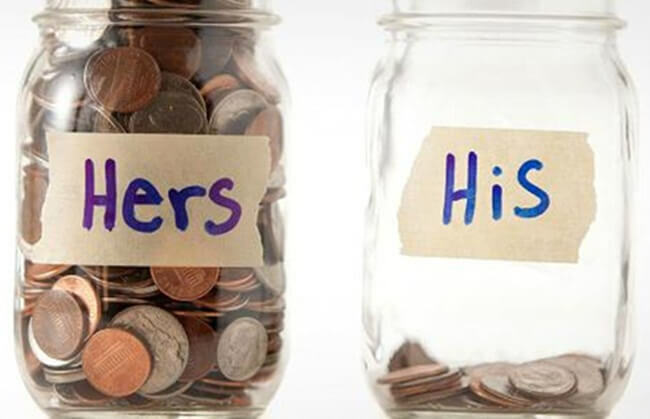 Undeniably, women are good at saving money in everyday life. Indian women bargaining with roadside hawkers, vegetable sellers, cobblers, carpenters, plumbers, maid servants, coolies, jewelers and likes, is a common sight to behold. Bargaining is a typical Indian trait. Mostly women possess it and leverage it as much as possible to save even a few pennies for the family. In Indian households, toothpaste is squeezed to its maximum limit. Having the ‘I know it’ attitude, women tend to walk away from stores unless storekeepers call them from behind and offer the merchandise at the negotiated price. Undisputed queens of bargaining, they trick hawkers and shopkeepers into selling the things at lower prices by referring to some hawker or shop on the other end of the street or market where the same things are supposed to be reasonably priced. According to economists, those who spend money with care are the real backbone of any economy in tough times. It’s very true about Indian women in particular, who are finicky and conscious shoppers. They don’t loosen the strings of their purse until a product irresistibly appeals to them or a service fits into their budget. If the monthly budget exceeds the preset limit, Indian women stop at nothing to save on household expenses. They explore all possible opportunities to cut unnecessary costs. They are always a few steps ahead of men in controlling expenses and maintaining the budget for economic welfare of the family. When India declared demonetization on November 8, 2016 banning INR 500 and 1000 currency notes, women hit the panic button wondering what to do with their savings. Even non-working women, including housewives, queued up to deposit their savings, no matter how small it was, to banks. All these incidents and instances prove that women are good at saving on expenses in day-to-day life and contribute to the economic wellbeing of their families. Whether a woman is a daughter or sister or wife or mother, they save money by every possible means and for various reasons. Now let men do it for the women in their lives. Men should acknowledge their women’s sincere efforts to make savings for the family welfare. Indian Eagle is offering the following discount to save on flights between USA and India for women travelers. The coupon is valid until March 31, 2017 and can be used only once. The coupon is non-transferable and has no cash value. The coupon is applicable to online travel bookings for adult women travelers only. The coupon is not applicable for already discounted itineraries. The coupon cannot be combined with other coupons, discounts, or Eagle Rewards. The coupon is valid only for a new booking and is not applicable for other services including but not limited to travel insurance, booking cancellation and itinerary changes. The coupon is void if restricted or prohibited by law. This Women’s Day special discount offer expired on April 1, 2017. It’s no longer available. Do check our Mother’s Day 2018 Campaign offering ‘exclusive’ discount on booking flights online for mothers.